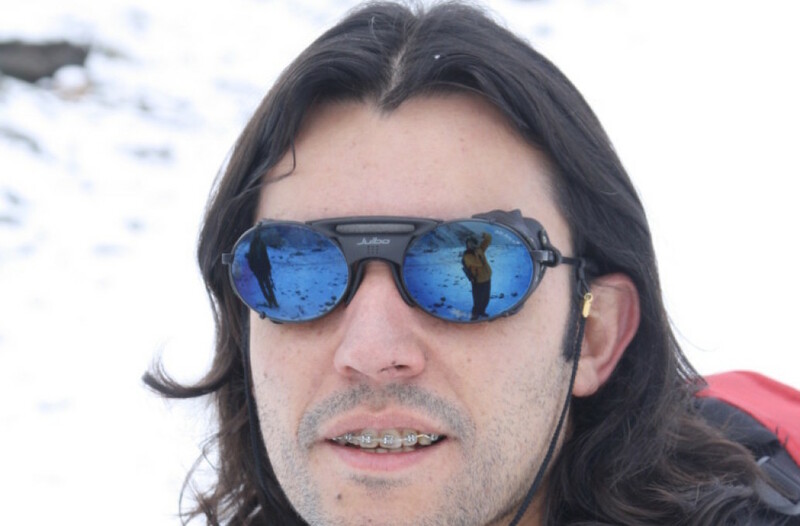 I am Brazilian, biologist and Mountaineer, born in 1980, live and work in Curitiba as a partner of High Places productions and also with Guanaco Expediciones. Practice mountaineering, cycling and climbing periodically in the Serra do Mar and the Devonian Escarpment. I started my activities as the 6-year-old boy scout camping in the Serra do Mar, pom, in 1995 went up by my own legs the first mountain of my life, there the Ridge I spotted other mountains and didn’t stop until today. In 2001 I did my first course in rock climbing, following the course of mobile climbing, after climbing Championship to assegurador, until in 2005 participated in the course for volunteers of the cosmos (mountain rescue) in the Marumbi. My first experience in high mountain was in 2007 in the Himalayas and in solitary, where, porteando my own supplies and equipment scoured 180 km between valleys and mountains of the highest mountains in the world in the way that connects Lukla 2880 m to Everest Base Camp 5300 m and back until one of the world’s most dangerous flights. Following in March 4, 2008 the 19:30 I was on my knees in front of the cross that marks the Summit of Aconcagua, in the midst of a storm with low temperatures and heavy snow. I couldn’t believe that the Dream of more than a decade had been made, but what was certain is that there was only half way, would have to return home to tell this story. Since then there were many shared experiences and experienced, many other courses added theoretical and practical knowledge, to help build my solid foundation in decisõesna mountain, among them highlight: nursing assistant course 2001, 2002 wound management course, 2001 Industrial firefighting, first aid instructor in 2003 to 2009, Mountain Course of conservation units (UC’s) , Preventing and fighting forest fires (PR/GOST 2009 Civil Defense), training course for entry and watch in confined spaces NR33-2013 Altiseg, Safety course for work at height NR35-2013 Altiseg, among others. I’m still traveling and climbing mountains, the last journey occurred in December 2014 crossing from East to West the South American continent, climbing mountains in Los gigantes and the Córdon del Plata, including Cerro Plata. Climb mountains for me is to share, learn, constantly, by experience, by experience and through the encounter with nature itself.